Pulisic became the USMNT youngest captain ever at 20 years, 63 days replacing legendary striker Landon Donovan who was just 22 years, 220 days when he was handed the captain’s armband in a World Cup qualifiers’ game against El Salvador in 2009. The regular captain Claudio Reyna missed that game through injury. United States fielded a very young team in the game against Italy. Nine out of the 11 starters were 23 years or younger and the entire lineup boasted an average age of 22 years, 71 days which is a new record, beating the 22 years 160 days that was fielded against Bolivia in May last year. 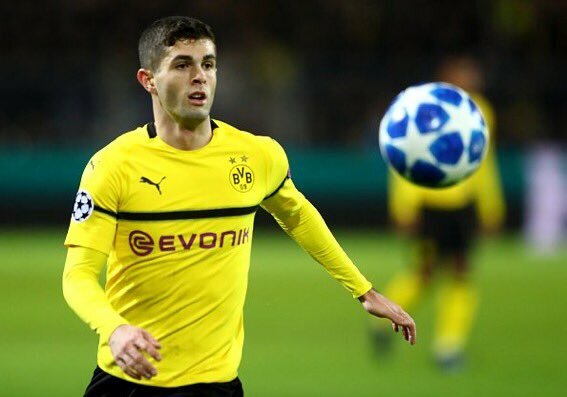 With tickets for the game in high demand on sites such as 1st4footballtickets.com, fans were treated to a real spectacle as Pulisic and his fellow youngsters took to the pitch and performed well against a strong Italian side. Young goalkeeper Ethan Horvath replaced Brad Guzan in goal for his first international appearance since the friendly game against Bosnia-Herzegovina in January – a match that ended in a stalemate. Pulisic was not deployed in his favored midfield position as he was pushed further up the pitch to team up with the 18 year old Josh Sargent in attack. He was deployed on the left of a three man midfield in the 3-0 loss to England last year. Romain Gall was an unused substitute and will be made to wait for his international debut. The likes of goalkeeper Jonathan Klinsmann and defenders DeAndre Yedlin were also unused substitutes for the game in Belgium as manager Dave Sarachan opted for younger players. The United States came out tops when they last played Italy in 2012, winning with a narrow 1-0 margin at Genoa, as Clint Dempsey scored. Sadly this time the scoreline was reversed with the Azzurri celebrating a last-minute winner by Matteo Politano.